Damascus 'bombing': A turning point? The reported attack in Damascus could mark an important symbolic turning point in the struggle to overthrow President Bashar al-Assad's regime. The claim that a bomber was able to carry out such an attack against a high security target speaks volumes about the government's ability to protect its own members and raises questions about the broader capacities of Syria's "security state". Caution, though, is still needed. Details of the event are sketchy, contested, and rely upon elements all with their own axes to grind. Why, according to reliable witnesses, does the building where the bomb apparently went off appear to be undamaged? Why has Syrian government TV refrained from showing its usual lurid images of the casualties? Conspiracy theorists may have a field-day, but there is one inescapable fact. The news put out by the Syrian government of a rebel attack against the very heart of the regime cannot be interpreted as anything other than a disaster for President Assad and his supporters. 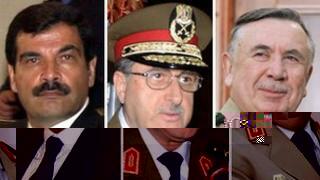 It sends out a message that if these men cannot be protected by the state security apparatus, then who can? It is in this sense that the attack marks a new phase in the struggle for Syria's future. As the level of senior defections from the Syrian military continues and as the fighting encroaches on key areas of the capital Damascus, many analysts believe that it is now not so much a question of "if" the Syrian regime collapses from within, but "when". No wonder, then, the warning from US Defence Secretary Leon Panetta that the crisis in Syria risks spiralling out of control. While the Syrian military with its artillery, tanks and air power still retains the overwhelming preponderance of firepower, there are growing indications that its actual performance on the ground is less than impressive. Western sources indicate that the army in some areas is having to move troops by helicopter since the roads are so dangerous. Nobody should be under the impression, though, that this is simply about President Assad himself and his immediate associates. The months of bitter fighting have introduced a nasty sectarian edge to the conflict. Mr Assad's Alawite supporters have nowhere to go, raising fears of continuing sectarian violence in the country even if the president himself were to be forced from office. Amidst this background, international diplomatic efforts appear to be turning in the void. The UN is seeking a new resolution to try to apply practical sanctions against the Assad regime if the president does not agree to a peace plan. Russia - for reasons which have as much to do with its own approach to international affairs and its concerns about non-interference by the West, as it does to any affinity with the Assad family - has set itself firmly against such a step, offering up instead its own resolution that would extend the mandate for UN monitors. But - in the absence of any ceasefire - quite what their role might be is unclear. Events on the ground are driving this crisis. Diplomacy is struggling to keep up.